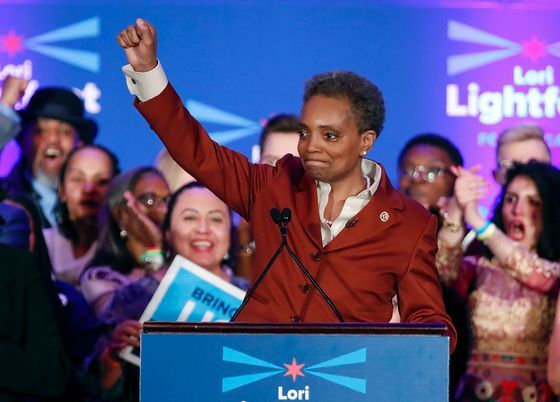 (Bloomberg) -- Chicago made history, electing former federal prosecutor Lori Lightfoot its first black, female mayor as the city struggles with gun violence on its streets and looming fiscal woes. In a victory speech that evoked Martin Luther King Jr. and Chicago’s first black mayor -- the late Harold Washington -- Lightfoot said her victory was a “mandate for change.” She pledged to embrace diversity, welcome immigrants, ensure the city doesn’t shrink, and combat its infamous political corruption. "It’s going to take quite a few months to get her arms around the fiscal situation, which is the thing that matters most for investors,” said Triet Nguyen, managing partner at Axios Advisors, a bond research firm, in Lake Forest, Illinois. "On one hand you have optimism but there is a lot of uncertainty that comes with that."